It's true, the anticipation is typically worse. I've been thinking about you. 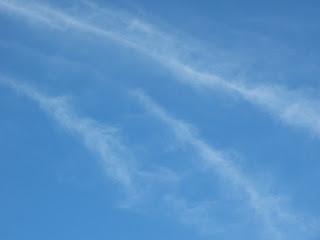 what a beautiful day.. been thinking and praying for you..hugs! Gorgeous fall day, beautiful gift from Nicholas...much love to you. What a beautiful tribute to Nicholas. I am so glad that the day was good for you. That you go to do some thing in memory on Nicholas. Oh my gosh, Lea. 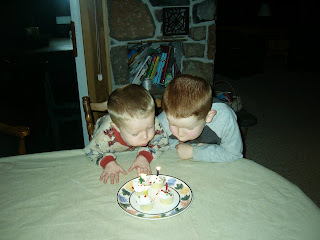 That last picture of your children blowing out that candle....oh my gosh. It made me burst into tears. Tears of pain for you, but of beauty in the middle of that pain. What a beautiful way to honor your son, Nicholas. I am glad you had a good day (well, as good as can be expected anyway). Did you ever get your gift? Such a lovely day and no doubt he was there to make you all feel love and happiness for him!! Thinking of you all!! Beautiful, Lea! 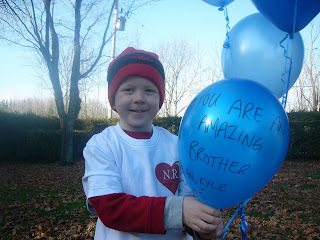 Your boys are adorable, it was so sweet that they got to send your Nicholas messages. I am glad Nicholas' Angel Day went well. Looks like a beautiful day spent with your ENTIRE family. 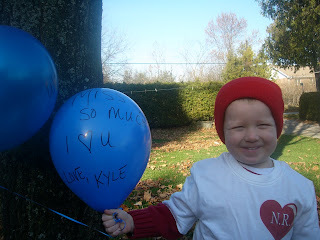 I know Nicholas enjoyed it as much as you were happy to honor and remember him. You are a strong beautiful mama Lea. Remember that. We love you and hurt with you. We wish we could ease your pain. 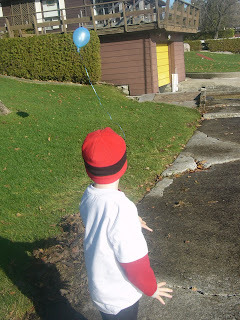 My 3 year old tells me all the time that Cayden loves the balloons we send him, so I know that Nicholas loved the balloons you sent to him. Doesn't change a thing does it? But perhaps it gives you a moments solace when you read the comments from your friends here. 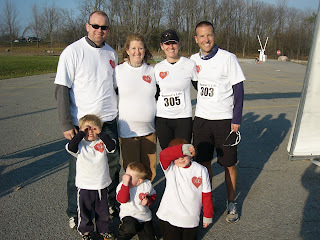 ((hugs)) So glad that it was a beautiful day! Kasey's birthday is next week and I am a mess just thinking of it. What a beautiful day. 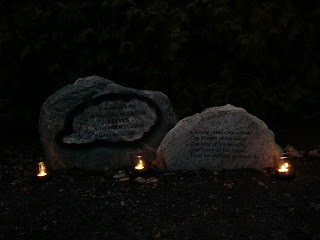 I thought about all of you on Saturday and lit the boys candles in memory of sweet Nicholas. I am so happy you had a good day. You deserve that. 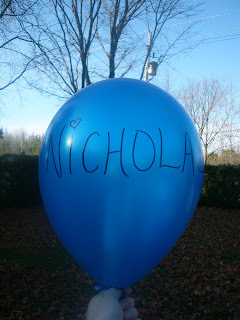 So glad the day was peaceful for you and that you got to release some balloons for Nicholas.